For first-time, rebound, step-up/down, and even experienced real estate buyers, you can often find yourself up against phrases and words that you have never before heard in your life, and frankly, it can all get to be a bit too much. 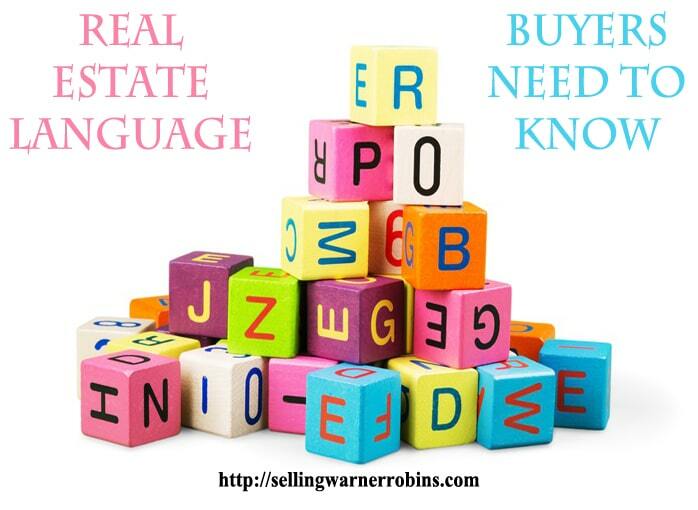 Many people say that real estate lingo is almost like trying to learn a new language. Whether it is the many considerations you have to take into account, the type of mortgages that are offered, or all the terms you here up to and through closing, it is very difficult to know and understand what all the information means. 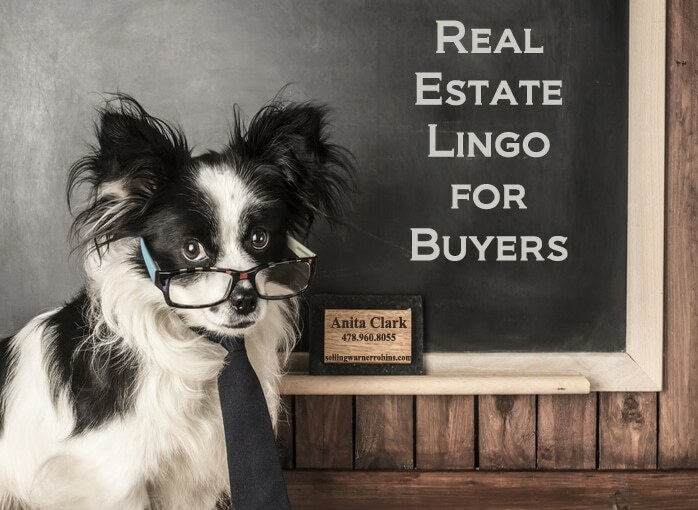 Confusion, stress and frustration can easily creep in, but to help you get your head around the lingo, this guide covers much of the real estate language buyers need to know. The next time you meet with a real estate agent you will have a better idea what the phrases and terms they use, actually mean. Click on any letter below to go directly to that section or scroll down and find the real estate term you want more clarification on. When you accept the terms of a real estate offer and establish a contract to purchase a home. Ensure the contract is in writing. If you back out of the contract you run the risk of losing any earnest money you may have put up. Yes, it certainly does sound like a made up word but an Addendum is actually an important document that describes changes to an initial purchasing agreement, so you should think of the word as a rough translation to “something added or something additional”. These addendums are separate documents and highlight additions or amendments to many items during the sale process such as date, conditions, or price changes. Known as ARM, these mortgages have a fluctuating interest rate that can change over the life of the loan. Typically, ARMs start with lower monthly repayments, and are most suitable for short-term loans. Amenities are things available in, on, or around a property. Things like having a pool, community playground, or close to entertainment are all types of real estate amenities. Real estate amenities often help increase the value of the property. It is the balancing of your monthly loan payment, ensuring the right amount of interest is paid in relation to the principal amount being deducted from your mortgage balance. A regular mortgage repayment schedule of both principal and interest. Over a sustained period (often 15 or 30 years) the result is typically loan payoff. You will have heard about this before as it appears on personal loans and payday loans, but for those who are not sure on the terminology, the APR is a percentage representation of the interest rate that is put on your mortgage each year, compounded over the length of the loan. The APR can vary between lenders, the higher the percentage the more you are paying back in interest. One of the first steps after contracting a home is to get a home appraisal completed. An appraisal is an estimated value of the property, after analysis by a professional appraiser, based on the previous sale of similar properties. No mortgage can be granted to the buyer until a price has been established for the property. An increase in a home’s value that can be the result of property upgrades, home additions, economic factors, as well as market demand. Appreciation over time often means you will be able to sell your new home for more than you paid for it. If you are looking to buy a property directly from a seller then this service will allow you to take over the seller’s mortgage. Essentially, you swap positions with the seller and abide by their existing mortgage terms and conditions. The lender of that mortgage will have to approve this “take-over” in order for you to successfully complete an assumable mortgage. A short-term mortgage (typically 10 years or less) with equal payments that leaves a loan balance (often substantial) at the end of the loan period. The homeowner then either needs to pay off the lump sum loan balance or attempt to refinance the loan. A bridge loan is a short-term loan (6 months to 1 year) often used by a buyer to purchase one property with the equity built up in another yet unsold property. When the home the equity was borrowed against is sold, the bridge loan is paid off. A licensed individual who can either negotiate a home purchase or sale or can designate agents (on a commission basis) to facilitate negotiating contracts between buyers and sellers with the intent on closing on a home. Additional real estate education, beyond what is required to become an agent, is necessary to become a broker. The term has a slightly different interpretation across the U.S. with some areas referring to a designated broker as an agent and a managing broker as someone who supervises agents. Buy down is when a seller or builder pays a set amount upfront on the buyers behalf to reduce the mortgage interest for a specific period (often 1 to 3 years) to give the buyer an extra incentive to purchase the home. After the specific period ends, the loan reverts to the original interest rate for the buyer. A buyers agent represents the buyer (through a signed agreement) and is their advocate, adviser, and real estate counsel as the buyer seeks to find a home to purchase. 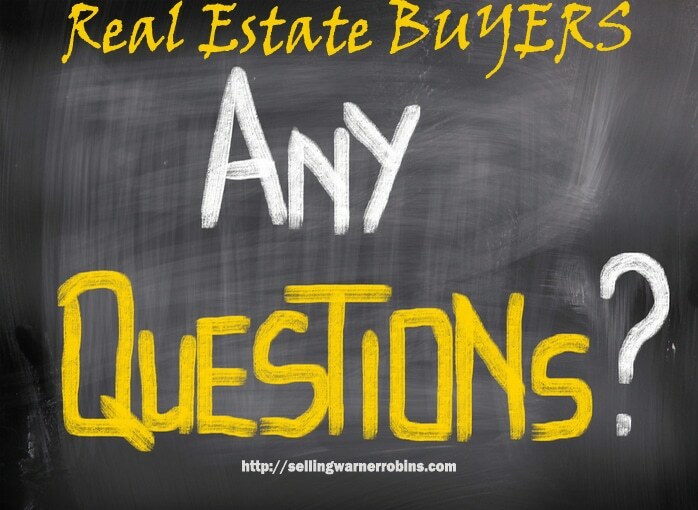 Typically, the buyers agent and sellers agent (representing the seller) share a portion of the real estate commission received when a home closes. It is a restoration or home improvement that adds value to the property or increases its longevity. Regular home maintenance or upkeep are not considered capital improvements. Latin for “let the buyer beware”. It means buyers need to perform their own checks, inspections, and research to ensure the property is as described and worth the purchase price. A document that identifies who owns a property. It often comes in the form of a deed and is recorded with the county the home was purchased in. When a home is sold a transfer of title will be accomplished to identify the new owner. When new ownership of a property occurs, according to the terms in the sales contract. This typically occurs at an attorney’s or escrow agent’s office. The transaction will be recorded in the county of purchase, passing ownership from the previous to new owner. Closing costs are paid by the seller and buyer at closing. Some of the more common payments include any appraisal costs, agent commissions, deed filings, inspection fees, legal costs, lender fees, prepaid interest, property taxes (prorated), and transfer taxes. Co-broke is when two brokerages share the commission on a home sale. One broker typically represents the buyer and the other the seller. The commission and split is determined at the onset of the real estate transaction. The Code of Ethics is a standard of conduct required by the National Association of REALTORS® on its members. It contains 17 articles that describe the performance and service duties as they apply to assisting clients, customers, other members, and the public in general. Collateral is either property or other assets a buyer offers to secure a loan. If the loan is defaulted on, the collateral item(s) become the property of the lender. They are considered secured loans and will typically have a lower interest rate than an unsecured loan. For real estate mortgages, the collateral is the home with the loan against it. A CMA is an in-depth review and analysis of a home by a real estate agent to determine the fair market value of a home. Items considered include size, condition, location, and the amenities the home possesses in comparison to similar properties. The payment made during closing to the brokerages represented in the purchase and sale of a home. It is a percentage of the purchase price and can vary depending on type of transaction, pre-negotiated percentages, location, and any number of other factors. It is identified upfront in writing. The commitment fee is a fee paid to the lender for assuring the loan will be available at a future date, regardless of economic conditions. It is often referred to as an origination fee. The lender guarantees an interest rate, for a set period, while the home purchase is ongoing. Often associated with money lost as a result of a breached contract. Courts will determine the actual compensation received. A conforming loan meets the loan terms and amount financed requirements (currently $417K to $721K depending on the area) for loans set forth by Fannie Mae and Freddie Mac. Loans over that amount are considered jumbo loans (see below). A short-term loan (usually 1 year or less) to obtain funds to construct a a property or make a major home addition or improvement. They are variable rate loans that often have higher interest rates than traditional mortgage loans. Provisions in a contract giving buyers an opportunity to back out of a contract if certain events or conditions fail to occur (i.e. house does not appraise, inspection issues, etc.). Sometimes a home purchase is contingent on the buyers ability to sell their existing home. A loan that is not insured by the Federal Housing Administration, often characterized by having strict guidelines on loan requirements. A benefit is these loans can be used to secure mortgages for second homes. 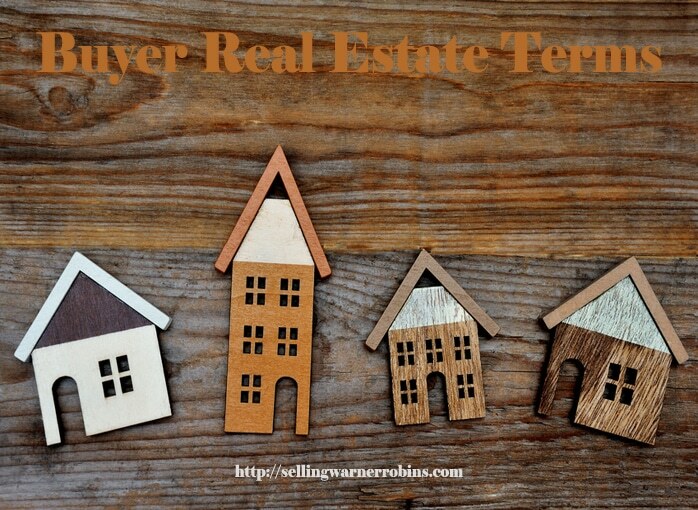 The transfer of title or property to another person (the buyer) after a set of conditions are met (closing). An offer made after a previous offer has been rejected, either by the buyer or seller. All previous offers are void unless re-negotiated. A report detailing the credit history of an individual, made available by a credit reporting agency. Items you will find on the report include credit cards, outstanding loans, list of employers, as well as addresses lived. There are 3 major credit reporting agencies, Equifax, Experian, and TransUnion. They collect and sell consumer credit history information to banks and mortgage lenders. They are regulated by the Fair Credit Reporting Act. Annually, you can receive a free copy of your credit report. A numerical rating calculated from your credit report that helps lenders determine your credit worthiness based on your past history, payment record, and current financial status. A higher credit score can help buyers obtain a lower interest rate on their mortgage. The scoring system goes up to 850. A measure used by banks as a condition to providing a mortgage, often with equity cash provided by the buyer. It is often called loan-to-value ratio and is used to determine how much money the lender will make available. The percentage of your monthly gross income used to pay your housing costs is the front ratio. The back ratio is any additional consumer debt you may have. The qualifying ratio is determined by the type of loan you are seeking to get (33/38 percent is fairly common). The document that transfers ownership of property from the seller to the buyer. The transfer of real estate must be in writing. A deed restriction is a limitation on what you can do to a property that is often placed by a homeowners association in the way of conditions, covenants, and restrictions. A loss of property value that can result because of the condition of the home, economic factors, and the age of the property. If the home has depreciated below the existing loan amount, you have negative equity. Typically when sellers disclose major home defects (i.e. electrical, plumbing, roofing, flood zone issues) so the buyer is aware of the issues before purchasing the home. By law, sellers have to disclose the presence of lead-based paint in homes built before 1978. A payment made by the buyer to the lender during closing to secure a lower interest rate on their mortgage. Each point generally costs 1% of the loan amount and lowers your interest rate by a predetermined amount (i.e. 0.25%). A 0.25% discount on a 4.0% interest rate would make the new rate 3.75% over the life of the loan. This is essentially your deposit contribution to the property you want to buy. You will make a real estate down payment before you take out a mortgage, lowering the mortgage amount by the amount of your down payment. Generally down payments need to be at least 3% – 20% of the property value. Due diligence is checking all aspects of the property before buying it to ensure it is structurally sound and as described. A show of good faith to the seller, which an escrow agent holds on your and the sellers behalf until the house sale is finalized. If the sale goes through it can be transferred and used as part of your down payment, and if the offer is rejected by the seller you just get the earnest money back from the escrow agent. A right of land use by someone who does possess the property. Often times you see this with driveways that are owned by one homeowner but a right-of-way is permitted to another homeowner. Encroachment is when a neighbor builds something on your property. One of the more common encroachment issues is fencing. An encumbrance is a claim, liability, or lien associated with a property. The difference between what you owe on the home and what it is worth. For example, if a home is worth $200,000 and the owner owes $100,000 on the mortgage, they have $100,000 equity in the home. Funds held by a third party until closing the sale of a home. They handle any arrangements or follow written instructions from buyers and sellers. Using the service does mean you will be paying a fee, but this fee is generally part of your closing costs. A person or firm who takes care of escrow arrangements for a fee. An estimate of a home’s market value, based on what a buyer would expect to pay for a comparable property in a competitive market. Fannie Mae is the nickname for the Federal National Mortgage Association (FNMA). The FNMA is a private entity that purchases and guarantees FHA, VA, and conventional mortgages. The FHA provides mortgage insurance on FHA approved loans and sets standards for both construction and underwriting. They are insured by the FHA and are very popular with buyers because they are available with low down payments and often less stringent standards. The funds, typically a mortgage, used to pay for a home. Paid by a buyer to secure a mortgage loan and generally consisting of credit report fees, discount points, interest, origination fee, and service charges. The mortgage whose lien is higher than any other mortgage or lien on the same property. Most often they are the first recorded. The interest rate remains the same over the life of the loan. The most common are 30 year mortgages. A fixture is anything of value that is permanently attached to or part of a home. or a part of real property. A defaulted mortgage where the lender takes possession to sell the home. Freddie Mac is the nickname for Federal Home Loan Mortgage Corporation (FHLMC). The FHLMC is owned by the Federal Home Loan Bank System and buys FHA, VA, and conventional mortgages. Ginnie Mae is the nickname for the Government National Mortgage Association (GNMA). GNMA is a government agency that buys FHA and VA mortgages. An itemized estimate of the various fees a buyer will have to pay at closing. Federal Law says lenders must provide it within 3 business days of an initial loan application. Insurance that protects homeowners from damage caused by fire, smoke, storms, vandalism, and other unexpected events. Lenders require hazard insurance to protect their investment. A loan that provides a way for homeowners to borrow against the equity in their home. It is a line of credit that creates a second mortgage on your property. An HOA is organization that enforce covenants, conditions, and/or restrictions for the homes in a subdivision or community. They usually collect fees and ensure guidelines are met for upkeep, installation, or changes made to the exterior of a home or the land. FHA homes that have been foreclosed on. The U.S. Department of Housing and Urban Development sells these homes in an attempt to recoup funds lost when the property was initially foreclosed on. The cost to the buyer of borrowing money from a lender. Rates vary based on economic factors and your credit score. IDX provides consumers the ability to access real estate property information from a real estate site on homes in the immediate area. The information is maintained in a Multiple Listing Service (see below). A loan that exceeds the conforming loan limit as administered under Fannie Mae regulations. They usually have higher interest rates and more strict underwriting guidelines. A designation given to a building for the purpose of preservation. They are filed with the county and are a claim against a borrower for failure to pay a debt or perform an obligation or as security in-case there is a future default. A written contract between a seller and real estate broker authorizing the broker (or their agents) to market and sell the owner’s home. The home is the listing. They represent the sellers interests in the sale of the sellers property. A written obligation from a lender stating their intent to provide a mortgage and the conditions set for loan approval. The charge initiated by lenders to create a mortgage. It is basically commission for helping get you a loan. An agreement by the lender to provide a loan at a specific interest rate as long as the loan closes in a specific time-frame. A device that affixes to a door (or other external location) that has the keys to open the home. It allows real estate professionals to enter a property without having to obtain their own key. They are common and allow agents to show their buyers local homes for sale without having to acquire a key of their own..
A lot is a tract of land with finite boundaries. The estimated value of a home based on its current condition and ability to sell within 90 days. In markets where there is little inventory, homes often sell above their market value. A mortgage is the use of collateral to secure a debt and become a homeowner. It is always in writing and includes the terms of debt repayment. Represents banks who are looking to issue mortgages. They assist buyers with the mortgage application and help facilitate the process to closing. The MLS is a large database that shows real estate agents and brokers complete details of homes that are currently listed for sale on the local real estate market, but it also goes a step further by providing information on cooperative brokers who can work with buyers in order to help sell their homes more effectively. This particular service has essentially allowed the smaller brokers in the real estate industry to be able to compete with the bigger brokers, as they have access to a complete list of properties at their fingertips. The NAR is the largest trade organization in the U.S. for real estate brokers and agents. An exception to zoning ordinances for the utilization of land based on improvements made by a previous owner or in-place before the ordinance was enacted. Latin for “suit pending”. It is a public notice of pending litigation. The intent of a buyer to purchase a property by putting in writing their intent, to include sales price and any conditions they want the seller to meet. Once accepted by the seller, the home is under contract. The completion of the loan application, constituting the first step in the mortgage loan process. A fee charged by lenders to process a loan application. Rates vary. A parcel is a defined area of land, such as a lot. It is a property map showing the boundaries for a piece of land. They are a equal to 1% of the loan amount and are a lender payment for issuing a mortgage. When one person (usually the buyer or seller) appoints someone else to act on their behalf. They are often used when one or both parties are not able to make the closing themselves. A detailed conditional commitment of how much a bank will loan you. They are used to determine your home purchase loan limit and provide an understanding to sellers you will be able to secure a mortgage. A quick process where buyers submit a loan application and receive a non-binding lender assessment of how much they will loan you. Not common now, but a lender may impose a fee on a homeowner who pay off a mortgage early. The longer you have the loan, the more money in interest the lender makes, hence the penalty for attempting to pay off the debt early. Generally, a primary residence is the one a homeowner occupies in the majority of the time each year. The buyers and sellers in a real estate deal. It is also referred to as the funds used to pay down a loan balance. PITI consists of the amount borrowed (principal), interest, taxes (property), and insurance (homeowners) that makes up your mortgage payment. The principal pays down your loan and the interest goes to the lender for providing the loan in the first place. Generally, any down payment less than 20% will require the buyer to take out PMI. This insurance covers the lender if the buyer cannot pay back the loan or if the foreclosure sale price is less than the amount owed. Once 20% of the loan has been paid, a homeowner can apply to have PMI removed from the loan. The second step in the mortgage application process. It includes verification of loan application information. The tax is calculated as a percentage of a home’s assessed value and is issued by a local tax assessor. A calculation used to determine if a borrower can qualify for a mortgage. A rate cap is the interest rate limit applied during the term of an adjustable rate mortgage. There are restrictions on the amount interest rates can change each year as well as over the life of the loan. Real estate is referred to as real property and can be land and anything permanently attached to it. No real estate items are called personal property. A licensed person who can negotiate and complete the sale of real estate. They are not a member of the NAR. They work on commission and for a broker. Designation reserved for members of the National Association of REALTORS® who pledge to abide by and uphold the NAR’s Code of Ethics. Not all real estate agents are Realtors®. They also work on commission and for a broker. REO homes are those properties owned by a lender. They are available because they did not sell at a foreclosure auction. RESPA is a federal law that regulates the activities of lending institutions and requires them to give consumers advance notice of closing costs. Land and any permanent structures that occupy the land. Recording is what happens when a claim, lien, or ownership registration of a specific parcel of real estate occurs at the county clerks office. A fee charged by the county recorder’s office to record items such as deeds, mortgage notes, and mortgage extensions. A fee that is paid by one broker to another (or agent to agent) for referring a buyer or seller. The fee is taken from the commission split of the agent who acquired the referral. Refinancing involves paying off the existing mortgage on a home with the proceeds of a new loan. It is often done to acquire a lower interest rate, decrease the pay back period, or for loan consolidation purposes. A rider is an addendum to a document or contract that covers issues not in the original document or contract. Riparian Rights is access to and use of water awarded to property owners who are adjacent to a body of water, such as a river. Commonly referred to as the purchase price. It is the amount paid for a home by the buyer to the seller. Often referred to as concessions. When a seller agrees to pay some or all of a buyer’s closing costs. 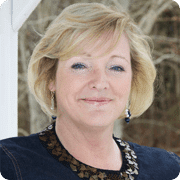 The listing agent who works for and in the best interest of the seller. Land that is subjected (encumbered) by an easement. The distance a property is setback from the front or interior property line. When a home owner sells their home for less than the balance of all outstanding liens. The lien holders must approve the short sale and agree to take less than is owed when the sale occurs. It is the measurement of an area (such as a room) that can be measured in different ways and is usually considered approximate. This is a loan that exceeds 1 million dollars and is considered a luxury property. They have special approval guidelines that are different than smaller loans. A map showing the area, boundaries, and measurements of a property. It will also identify any encroachments, easements, improvements, or rights of way. An incentive offered by a local government that reduces or eliminated property taxes for a specified time to stimulate interest in areas that have lower consumer demand. The tax deductible expenses homeowners can see benefit from are mortgage interest payments and property taxes. The document that identifies who legally owns a property. It is recorded at the county in the form of a deed. Insurance that protects the buyer if a dispute over property ownership arises. An examination of local public records to determine if the seller is the legal property owner. It is also used to determine if there are any outstanding claims or liens against a property. The analysis of a loan application used to determine if the loan risk is acceptable to the lender. It includes a review of the property appraisal and the borrowers credit history. Property that is free of any type of lien. Charging a rate of interest higher than the rate allowed by state law. Interest rates are capped to protect the rights of buyers. Associated with active duty military, those honorably discharged, and retirees who use their VA eligibility to purchase a home using VA financing. A loan that is guaranteed to qualifying members by the VA. The use of analysis to determine the purchase price of a property based on property age, location square footage, and other variables. A home inspection generally performed just prior to closing to ensure the home meets all the contracted stipulations and requirements. Wetlands are state and federal tracks of land found between uplands and aquatic habitats that is covered in surface water and plays a large role in the soil, plants, and animals that inhabit the area. Ask for a Department of Environmental Protection report as part of your due diligence and see if the area you are considering is designated as a wetlands. The buyer does not have to incur any out of pocket expenses to purchase the home. One such program is the U.S. Department of Agriculture Rural Development home loan program. A local zoning ordinance controls the location, size, and use of buildings in a specific area. If you found this article on real estate language buyers need to know about helpful, please consider sharing it via social media so others can benefit from the information too.